Nick Giles knows what it takes to build something from the ground up. As Head of Property Management at Laing+Simmons Liverpool, his focus is on implementing growth strategies to help people build an asset for their future, growing our business in the process. A south west Sydney local, Nick has seen first-hand Liverpool evolve into Sydney’s third major centre, feeding off major infrastructure investments and population growth to become an area rich in diversity, with its own identity, and much optimism for the future. He knows the local real estate market better than anyone. 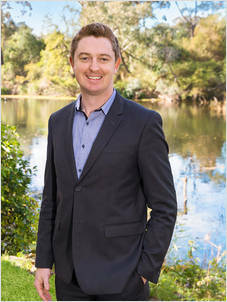 Nick understands the diversity of built form, the mix of apartments, freestanding homes and new residential sites, as well as the vibrant mix of first home buyers, upgraders, downsizers and – increasingly - investors looking to secure their slice of the area. Nick brings a wealth of experience to the team. He combines years of real estate sales experience with direct business development expertise and in-depth knowledge of the commercial and retail sectors. Away from the office, you might find Nick out and about in the local area walking his dogs or on the boundary fence as the Campbelltown Ghosts cricketers ply their trade. Offering relative affordability with considerable investment upside, Liverpool is a market on the precipice. Contact Nick Giles today on 9602 0055 or at nick.giles@lsre.com.au to find out how he can help you enjoy the fruits of Liverpool’s unprecedented growth.